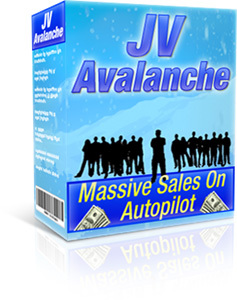 "Here's How You Can Create An AVALANCHE Of Traffic And Sales, By Getting Loads Of Joint Venture Partners To Promote Your Products On Their Thank You Pages"
You may have already seen some information on the latest hot marketing solution - doing Joint Ventures to sell your products on other people's "thank you" pages. This is a new, powerful traffic-boosting tactic that can help you sell bucketloads of your own products, by harnessing the power of Joint Ventures. Now I'm going to show you how you can easily use this tactic to give your sales a MASSIVE boost at a very affordable price. Do you already understand why showing your ads on other people's thank you pages is such a powerful solution? If so, you might like to skip this paragraph and scroll down to see how JV Avalanche can help you to achieve this. It's a classic example of selling something else to a customer who's already ordering. In the online world, this same method can be used very effectively, when selling downloadable products - or even physical products. You simply offer additional products for sale on your "thank you for ordering" page, so customers who've just bought one thing from you are offered related products - usually with a special "customers only" discount, to encourage them to buy now. By catching customers when they are already in the "buying mood", you stand a much better chance of making additional sales. It's a well proven strategy and used by many of the Internet's top marketers. But despite the huge profits available, most marketers don't actually market anything on their thank you pages - mainly because its a lot of extra hassle. Today I'm going to show you how to exploit this fact by approaching other marketers who are selling their own products - and offering them an easy way to put ads for your products on their thank you pages. In exchange, you'll pay them a commission on any sales - and give their customers a special discount on your products. They get extra profit with zero effort. You get extra business from customers who are already in the "buying mood" - and the customer gets a special discount. The key to making this work is offering a really easy way for other marketers (your "JV Partners") to put your offers on their thank you pages. 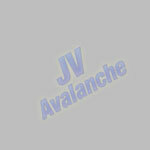 JV Avalanche is a simple script that you install on your own website. It's a quick and easy installation, with special set up tool to make it really simple. Once installed, you then use the script to create ads for JV partners, which they insert into their thank you pages - offering their customers a special discount off your products. Here's a screenshot of an example ad, just to give you an idea of what you can create. You design your ads with any HTML editor. They are just ordinary web pages. There is an example ad included with the script, which you can modify - or you can just create a new ad from scratch. You can include any text, any fonts/colors, any images, any layout - in fact anything you would normally use in a web page. Once you have designed your ad web page, you upload it (along with any images) to your web host in the same folder as your script. 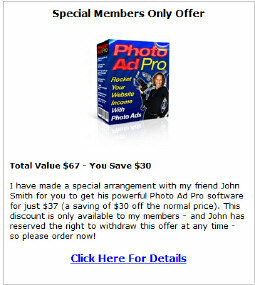 You enter the JV partner's name, their affiliate link for your product and the file name of the ad web page (for example, the ad web page I created for the "Photo Ad Pro" product shown above is: photoadpro.html). You have a script admin feature, which shows the number of days ago that each ad was last shown by each JV partner. This allows you to easily tell if a JV partner has not yet started promoting - or has stopped promoting your offer. You can see that one JV partner has not started promoting yet and another one looks like she may have stopped promoting. By monitoring this information, you can contact JV partners to remind them to add the code to their page - or ask them why they have stopped promoting your offer. For each JV partner, you can get detailed stats on the number of times the ad has been viewed and the number of clicks, the date of the last view and last click. You can also get the total number of times that each ad has been viewed and clicked across all JV partners, to get an idea of how well the ad performs overall. The example above only shows a single ad, but you can have as many different ads as you want - and as many JV partners as you want. You'll probably want to use JV Avalanche to allow your JV partners to offer special discounted deals to their customers. You will of course mention the discount in the ad itself. But adding this information to the sales page as well, gives a lot more credibility to your discounted offer. When a visitor arrives at your sales page from a JV partner ad, the correct JV partners name will be shown automatically. This offers a very simple way to boost the profits from your special offers. With JV Avalanche, you can change your ad at any time in the future - and all JV partners that are already using that ad will automatically get their ad updated. You can replace an ad with an improved version. You can replace an ad with a special promotion for a few days - then restore the original ad back again when the promotion is over. You can even replace an ad with an ad for something else completely, if for example, you stop selling the original product. You do all this - at any time - just by uploading a new version of the ad web page, without even telling your JV partners. All JV partners using that ad will automatically get their ad updated, without them having to do anything at all. JV Avalanche works with any affiliate program. You can use any affiliate manager (such as Clickbank or Commission Junction) - or just use your own affiliate script. A single installation of the script can handle as many products and as many JV partners as you want. In addition, you can install the script on as many websites as you want (as long as they are all owned by you) - so you can install a separate copy for each product if you prefer. Although I've concentrated on inserting ads into thank you pages, JV Avalanche does not actually limit where the ads are placed. You can create ads for any purpose and your JV partners can insert these ads into any pages on their website - even inserting them into their content pages if they wish. This offers a really powerful solution to give your JV partners a really easy - and highly effective - way to promote all your products with minimal effort. Your copy of JV Avalanche comes with the special "Joint Venture Encyclopedia" packed with tons of valuable information on building and profiting from JVs. • Learn the ins and outs of joint ventures in the real world. Why is my acceptance rate is close to 90% ensuring a circulation of hundreds of thousands, while others are struggling to secure even just one deal? It's a simple concept if you know how. I'll show you everything I've learned in the past 7 years. • How To Find Real JV Prospects. We all know that a couple of simple ads here and there to large, well built, targeted lists can shove thousands, even tens of thousands of dollars into your pocket per mailing. We'll show you step by step, exactly how we go about securing no less than twenty of these large scale joint ventures every single time we launch a product with very little effort, whilst others having trouble securing even one. • An Almost Endless Supply of Prospects. Overcome the hassles and ethical issues of having to cold call and drop in on prospects unannounced, only to be told they don't want to hear from you. There's a little known back door that we're sneaking through as you read this, pulling in scores of immensely profitable joint venture deals whilst the majority fight over the same 20 people. • The one and only way to quickly get in on the ground floor with big joint ventures, even if it's your first day in online marketing. You may think you have nothing to offer in return for the circulation of your ad to tens of thousands of targeted buyers. You'd be wrong. Thankfully for us, only a few know of this powerful method, leaving you plenty of space to get in on this before the crowds flock to it. • 12 Mistakes Of The Joint Venture Newbie. I'll show you the exact reasons that joint venture newbies get denied over and over again, when they could quite easily be circulating their products to many thousands, if only they knew what our decade + of experience tells us they were doing wrong. • How to know before approaching anyone whether or not they're going to accept your offer. Don't waste your time by approaching people that have no interest in your deal. We have devised 7 easy to replicate methods over the years that will allow you to judge immediately whether your prospect is going to accept you or not. • How to build and use a powerful information network. The future is always bright for your business' profits when you have a group of thirty or forty people with these valuable lists ready to promote for you on the launch of each of your products. What's more, they're easy to find. We'll show you exactly where. (Best of all this only takes ten minutes to do). Imagine the profits at having that type of promotion power at your disposal. It's all yours, right here. • 5 ways to increase your acceptance rates by 85%. Tailor your deal to your joint venture prospect and start seeing your ad sent to more of these hugely profitable targeted lists every single time you launch a new product. It's easy to hit the magic 85% mark if you have the right information. We'll show you how to get it for free in a mere three minutes of your valuable time. • 2 techniques to ensure that the joint ventures you make today, will be open to you every single time you launch a new product. Imagine succeeding in gaining just five separate joint ventures, each list containing 20,000+ hungry customers ready to buy your products. That's a real money maker, but it gets unimaginably profitable when you add another five of these lists every single time you launch a new product. We're doing that right now, as you read this, and we'll show you how. 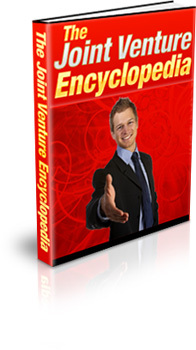 • Learn the why's of Joint Venturing. It's time to stop buying products that only tell you how to do stuff that become useless when everything changes in a few months time. It's a waste of your time and money. This guide however will show you why everything works, benefiting you not just on the first read, but for life; allowing you to adapt to business situations that we all know change very rapidly. • 2 JV Approach Methods That Almost Guarantee You'll Be Seen. Being noticed instead of thrown in the trash on first contact could mean the difference between 30,000 circulation for the launch of your products, and going home with nothing. Picture the sales of your products if you successfully made just ten of these deals. • Learn to see how your offer looks from the perspective of your jv target before you've even contacted them. If you know what they want before you contact them, not only are they going to wonder how you managed it, but they're going to sit up and listen, increasing your chances of an all important sealed deal. • 5 ways you know if you're going to be accepted before you even make first contact. Most marketers I meet are wasting time trying to complete joint venture deals with specific people at specific times. Are you? Show me the deal, show me the target, and I can tell you within 2 minutes with a 95% rate of accuracy whether you'll get a yes, or a no. I'll show you exactly how I do this, and how you can put it to good use too. • Learn to spot the best moment to send your joint venture prospect an offer. There's a time and a place for everything. JV's are no exception. Did you know, there are specific signals that you are receiving from your potential prospects that should immediately tell you when the best time to approach them is, maximizing your chances of success. Can you see these signals? If not, I'll point them out to you so that you can start taking advantage of them right away. • One sneaky little trick that will get your joint venture prospect talking to their contacts about you, even if they refuse your deal. Think about it. If your prospect has lists or resources reaching into the multiple thousands, it's highly likely their contacts will too. It's easy to get your name spread through word of mouth when you know how. We'll show you how. All this valuable information is yours absolutely free with your copy of JV Avalanche. I'm sure you can see the HUGE value in this software, allowing you to easily set up an unlimited number of cash generating JVs. I know you'll want to try out this software, to see how much it can boost your income. So all that remains now is for me to tell you the price. Given the potential for a substantial increase in profits, you might be expecting to pay a lot for this software. But if you order right now, your copy of JV Avalanche will cost you just $67. Assuming you have a quality product, you should easily be able to recoup this small cost in a matter of days. However I'm going to make this decision really easy for you. Try JV Avalanche for a full 30 days - and if you're not delighted with the results, just let me know and I'll refund your money in full. All this means you can take a full 30 days to check out this amazing software for yourself, with no risk whatsoever. The low price of this software could increase at any time. This software is for use only on PCs running Microsoft Windows. The script requires a web host that supports PHP and SQL (most quality web hosts support these as standard). Although we provide powerful tools which can help boost income, the results are dependent on many factors outside our control, including of course the quality and nature of your products. We are not therefore able to give any guarantees about the level of income that you will attain by using this software. We will however happily refund your money in full in the unlikely event that you are unhappy with your purchase.